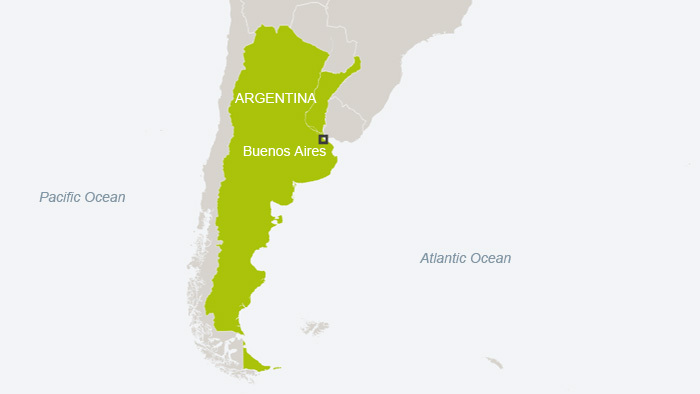 Argentina’s capital Buenos Aires is located in the eastern part of the country at the mouth of the Rio de la Plata. Around three million people live there, and they represent a third of the country’s total population. Buenos Aires, with its numerous educational institutions and broad academic offerings, is considered Argentina’s cultural center. Over 300,000 students are enrolled at the University of Buenos Aires, which was founded in 1821. But the country’s education system faces many obstacles, particularly in primary and secondary education. A law passed in 2007 aims to improve the situation by requiring all students to complete 13 years of education. Private schools continue to produce significantly better results than public schools, and members of the upper class generally enjoy a much better education than those from the lower class.